With familiar Christ the King texts from Psalm 71:8 and Daniel 7:14, this masterpiece is a powerhouse that allows you to use full organ in dialogue with your choir! A classic from the GIA choral catalog. Sylvia Dunstan's text examines the dual natures of Christ. Rarely does a text and tune paring work as well as this, proclaiming that Jesus Chris is both "our death and our life." A GIA best-seller. Optional orchestral parts available, arranged by John Ferguson. Adapted from Psalm 122, "I was glad when they said to me," Hymn of Consecration is a bold, driving charge "to go to the house of the Lord!" 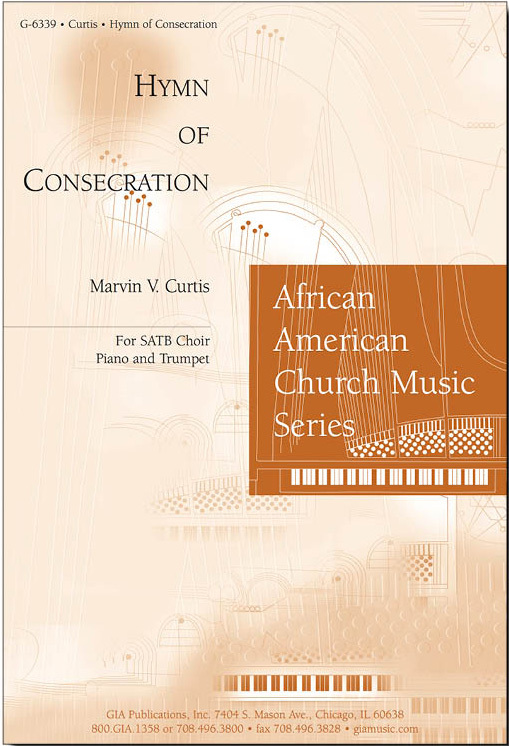 A versatile piece that will engage children, assemblies, and adult choirs. With a call-and-response format, minimal rehearsal time is needed. Robert J. Powell takes text by John Milton and turns it into a stirring anthem for brass quartet, timpani, organ, and SATB choir. Festive, fanfare-like, and definitely affirming for Christ the King.